The VOICE of Childhood Cancer Awareness The HANDS of Childhood Cancer Support! 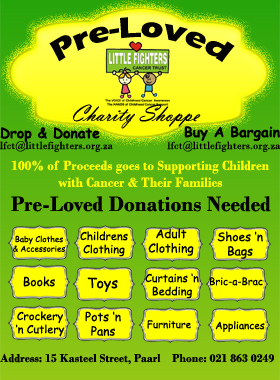 The past two days have been very sad days for everyone at Little Fighters Cancer Trust. When a child with cancer joins the ranks as a Little Fighter, we all become very close to the Little Fighter and his or her family, and it is always a sad day when one of them loses their fight. At 5am Thursday 23 October 2014, Little Fighter Xanika gained her Angel Wings after a long, hard battle. Xanika fought very bravely and her journey was one of pain and suffering, but now she is free. In the early hours of this morning, Friday 24 October 2014, Little Fighter Xuané also gained her Angel Wings after a very hard, long and extremely courageous battle. Xuané is finally out of pain and flying high and free. We at Little Fighter’s Cancer Trust are shattered, but we know that the two families are feeling even worse at their loss, and we ask that you all please just take a moment to send some special thoughts and prayers to these families during this time. You will both forever be in our hearts and our thoughts. To Xuané and Xanika’s Loved Ones, we send our deepest sympathy and love, and wish you all strength in these trying and very sad times. Why are Children with Cancer in South Africa Dying in Unbearable Pain? Can New Molecule Stop Cancer from ‘Tricking’ the Immune System? Childhood Cancer – What is to Blame for It? 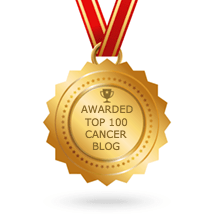 The Little Fighters Cancer Trust was awarded the Wordpress Family Award by our peers as an acknowledgement of our support of and contribution to the WP Community. Spreading Hope...a hat at a time.